The results are out for the Heart of England Fleece Show 2016, and we are delighted to see that our Beck Brow Explorer progeny have again done him proud. Thus, with 52 white Huacaya fleeces in the show, this was a tough category to be competing in, and a sought after championship for us. So Champion AND Reserve…beyond pleased. Beck Brow Wasabi (sire: Beck Brow Explorer. Dam: Ep Cambridge Courtesse) came 2nd in a class of 18 junior white fleeces. We only entered the three white fleeces so were very excited to see the final results. 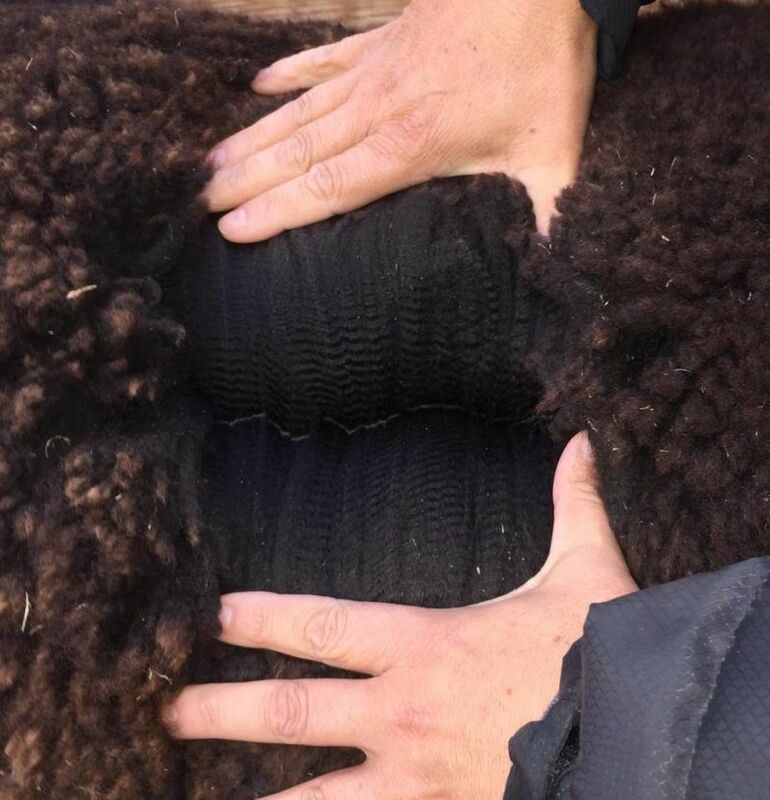 Beck Brow Prime Suspect (fleece shot above) was awarded 1st placed intermediate black fleece and overall Black Champion Fleece. This adds to his many championships including Black champion Male at the BAS National Show 2106. Prime Suspect is now owned and standing at stud at Lusi Alpacas.